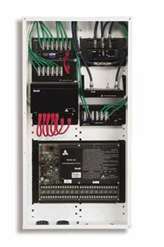 The Legrand/On-Q Connection Center delivers a structured wiring foundation that is essential for reliable data, audio/video, and telephone distribution in today’s homes. For builders and homeowners who are looking for an entry-level system with unlimited expansion capabilities, the Connection Center is the perfect solution. 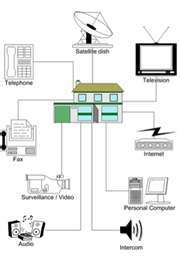 Each system provides reliable telephone and audio/video distribution throughout the home. Perhaps the most unique characteristic is its modular framework that was created to support both current and future home technologies. As technology advances and a family’s needs change, the full potential of the system can be unlocked by simply inserting new modules.